Could exchanges turn down prosecution’s demand for personal information? The Supreme Prosecutors’ Office (SPO) has asked the Korea Blockchain Association to “cooperate in developing the inquiry system for virtual currency addresses.” There are hopes and fears about this. For the prosecution, establishing the inquiry system will be very helpful in conducting investigations swiftly and easily. Given that the prosecution has to investigate cryptocurrency-related crimes like money laundering, illegal funding, fraud, quasi-reception and narcotics trafficking, the prosecution’s move seems swift and faithful to its duties. Therefore, there is no reason to criticize and raise objections to the prosecution (SPO). However, cryptocurrency exchanges need to ponder deeply. Bombs (?) thrown by the prosecution might send cryptocurrency exchanges in Korea into turmoil at one stroke. In connection with this, I read a news story reporting that “an official at a major exchange had asked for an authoritative interpretation about whether the address of a cryotocurrency electronic wallet is personal information and sympathized 100% with the government’s intent to protect customers’ assets and establish a transparent cryptocurrency trading order while expressing hope to take part in the project actively.” If this report is true, the relevant exchange underestimates the prosecution of the Republic of Korea. The prosecution won’t stop short of discovering which crypto exchange the wallet address in problem will belong to. Such scant information will be hardly helpful in investigations. I can assure you that if the relevant exchange is identified, the prosecution will ask the exchange to reveal the user of the wallet address, namely personal data of the account holder and transaction information involving the address. To put it simply, the system will become a method to track down on cryptocurrency accounts easily. Readers would have heard of account tracking. At present, if law enforcement is to trace financial accounts, namely receives transaction information from financial companies, it needs a warrant issued by a judge under the real-name financial transaction law. The warrant also should contain personal information, transaction period, purposes of use, content of required transaction information and so on. This is designed to ensure secrecy in financial transactions. Yet crypto exchanges don’t belong to the category of financial firms under the real-name law. There is no separate legislation concerning crypto exchanges. In other words, warrants are not needed in demanding cryptocurrency transaction information. What about personal information? 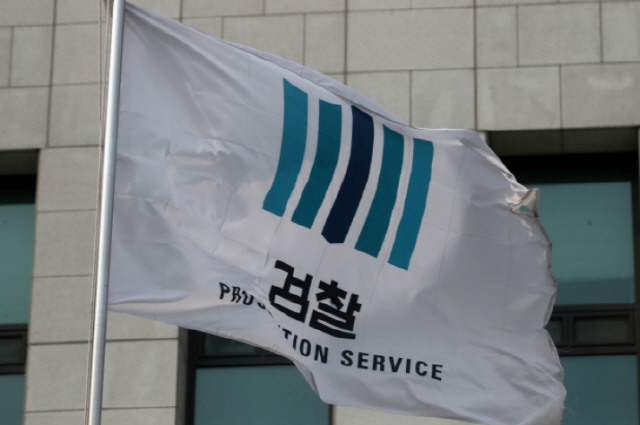 Customers have to register real-name accounts with crypto exchanges owing to the Korean financial regulator’s red tape. Exchanges are collecting and processing personal information to confirm real-name accounts. It is also known that exchanges failing to register real-name accounts are collecting and processing personal information through the Know Your Customer (KYC) verification. “Personal information” is information about individuals that can be identified through names, resident registration numbers and videos under Article 2 of the Personal Information Protection Act. Could exchanges reject prosecution’s demand? Of course, exchanges could reject the prosecution’s demand because the law stipulates the possibility, not obligations. However, at a time when the government and law enforcement are looking at the cryptocurrency market negatively, it’s doubtful whether exchanges could turn down the prosecution’s demand. In fact, it would be almost impossible. Naver has ever declared that it would not comply with the prosecution’s demand for users’ names, resident registration numbers and IDs under the Telecommunications Business Act, if not made through a warrant, under the pretext of privacy protection. Naver cited a clause of the act stipulating that “businesses can -- not must -- comply with the prosecution’s demand for data.” Then, could Korea’s crypto exchanges reject the prosecution’s demand for personal information and transaction data without warrants like Naver? Considering that the prosecution has conducted extensive search and seizure of exchanges so far, it’s unrealistic. Against this backdrop, let’s suppose that exchanges would develop and offer an address inquiry system to the prosecution (This writer means not doing so). Prosecutors and police will be able to confirm the exchange in which wallet addresses are involved easily and if confirmed, they won’t stop there. They will certainly ask for personal information and transaction data. Of course, this might be necessary to uproot illegality. Yet users will feel uneasy somehow although information is not abused. A number of people are fearful of the prosecution although they didn’t do wrong. There is no reason customers dare to use Korea’s crypto exchanges that can be scrutinized without restriction by law enforcement at a time when there are so many exchanges all over the world. Let’s think deeply. Korea’s crypto exchanges once boasted the world’s largest trading volume and value and cryptocurrencies were traded at high prices to such an extent that arbitrage transactions are carried out simultaneously. Until the justice minister mentioned in a press conference that he would aim to “close exchanges.” Of course, we cannot conclude that the justice minister’s statement had dampened crypto transactions in Korea. And the justice minister’s statement is understandable, considering the unusual rally of cryptocurrency prices and speculative demand. However, there are a number of crypto exchanges all over the world, including such industrialized countries as the United States. More recently, cryptocurrency prices at overseas exchanges are higher than those in Korea. But no ministers or high-ranking officials in industrialized countries (China is excluded) have ever mentioned closing exchanges. Furthermore, it is said that Korea is the first country ever seeking to develop the inquiry system for cryptocurrency addresses. If this argument is true, no other countries have ever tried to do so. Why not? Because prosecutors in those countries are less smart and faithful to their duties than those in Korea? This writer is not sure if cryptocurrencies have real economic value or whether they will affect blockchain and other future-oriented industries positively, either. So we need to look at the situation more. And because it’s the phenomenon already existing, we have to make efforts to institutionalize and refine things gradually. We need to think that other countries may be discreet not because they are less smart and faithful to duties. This writer may be overanxious about the inquiry system. But we cannot rule out the possibility that Korea’s exchanges might set fire to the bombs thrown by the prosecution for themselves and fall flat.